Last year, for the Litha blog hop I looked at the making of the Sun card, which I associate with this time of year, and which in Lenormand terms represents joy, energy and success. So, while that would have been very appropriate for the topic of this hop "joy", I knew I'd have to do something different. 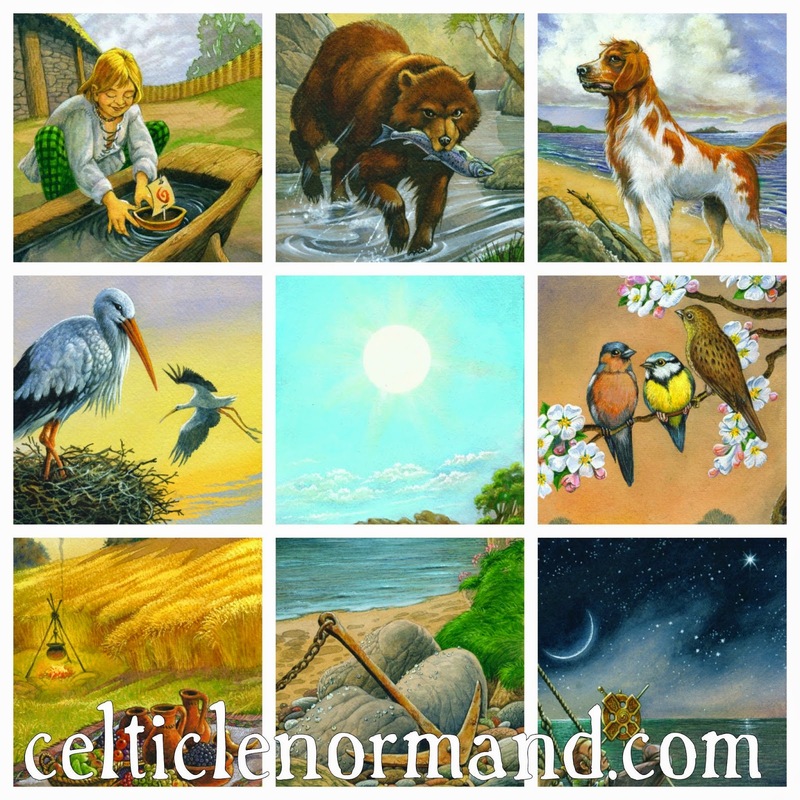 What joys are you experiencing, and how would you express them in Lenormand cards? :) Yep, that brings me joy, too, Ellen! I like this idea, Chloe - thanks for sharing it. Ship - Sun - Home (We'll be taking a trip to the family home in about a week to spend some time!) I love the way you've done your post! I'm not too proficient in the Lenormand, so I'll answer you in a Tarot card. Today my greatest joy is seeing that the little bird that I was looking after last week has learned to fly. He spread his wings and took off - erratically, it has to be said, but he still made the effort! So, because I'm all about the Court Cards, I'm going to say that my joy was the Page of Wands - a beginner for sure, but moving at speed and with great joy! Nice Lennie combinations with the sun, Chloe. I am looking forward to your text as much as the card images on this project.